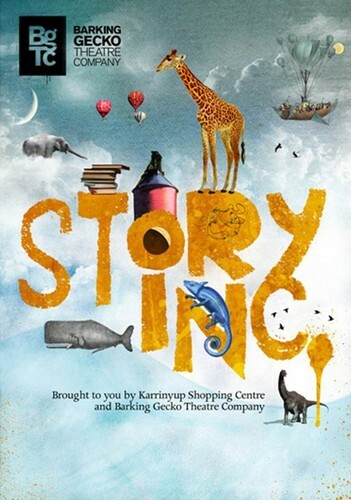 Rhoda Lopez from Barking Gecko will be reading stories on Wednesdays during School Term 1 in the Food Court between 9.30am to 10.00am and 10.15 to 10.45am. Rhoda joins the Barking Gecko team, taking young people on an imaginative journey into the magical world of children’s literature. Each week children from 2 - 5 years will embark on a new adventure as Rhoda reads from popular children’s books, inspiring young minds while fostering an early love of reading. This interactive 30 minute workshop includes a story reading, role-play (movement exercise) and crafts. Each session is free and can accommodate up to 30 children and parents need to remain with their children at all times. Children are urged to bring their own cushion/pillow for their comfort while seated. Registration can only be made with Barking Gecko event staff in the Food Court on the day of the Story Time just prior to each session starting.